The American Idol Experience at Disney’s Hollywood Studios not only gives guests their shot at stardom, but this month, it’s giving them a chance to spread holiday cheer as well. 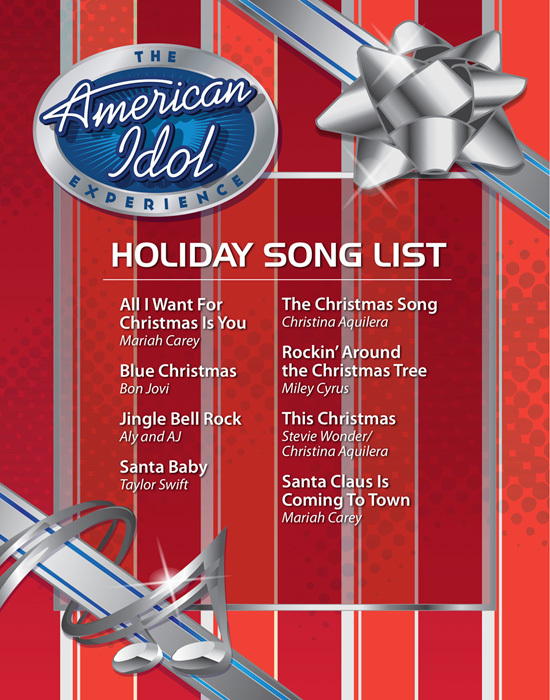 Auditioning singers can now choose from a list of 8 holiday songs recorded by pop stars, including “The Christmas Song” by Christina Aguilera, “Santa Baby” by Taylor Swift, and “Blue Christmas” by Bon Jovi. You can see the full list of songs below. 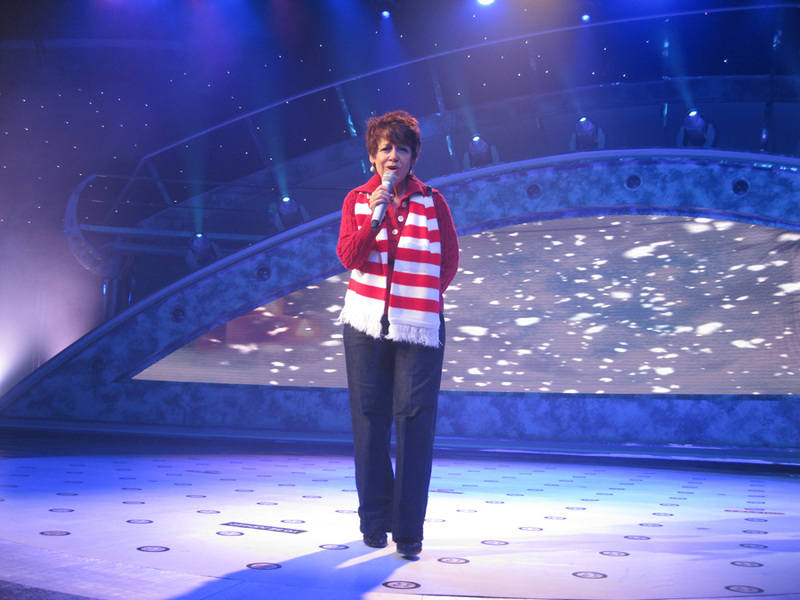 The stage also features holiday-themed lighting and singers can don holiday accessories if they wish.